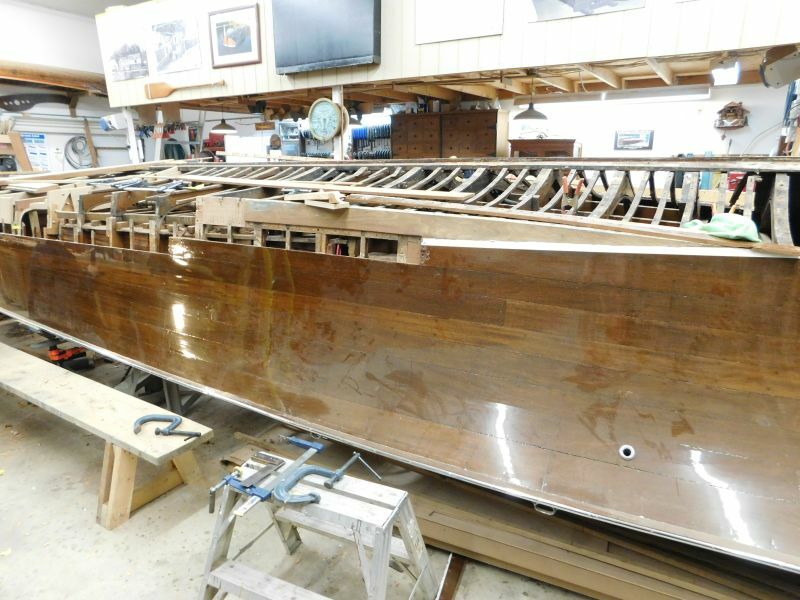 You are browsing the archive for Minett-Shields restoration. 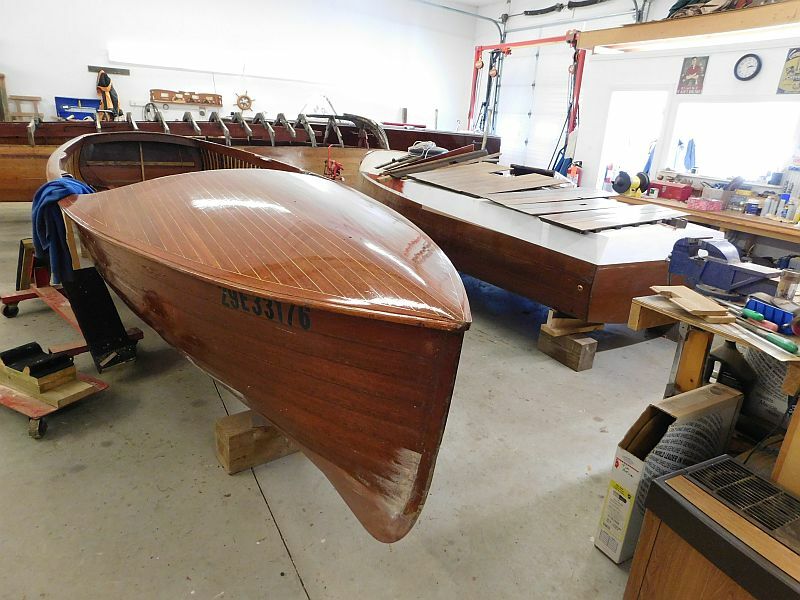 Congratulations are in order for Paul and his staff members at Brackley Boats in Muskioka Ontario, all currently engaged in a “surgical renewal” of Wimur II, an enormous vintage Minett-Shields launch. Also on taop is a 22 foot Shepherd. Enjoy the video below. 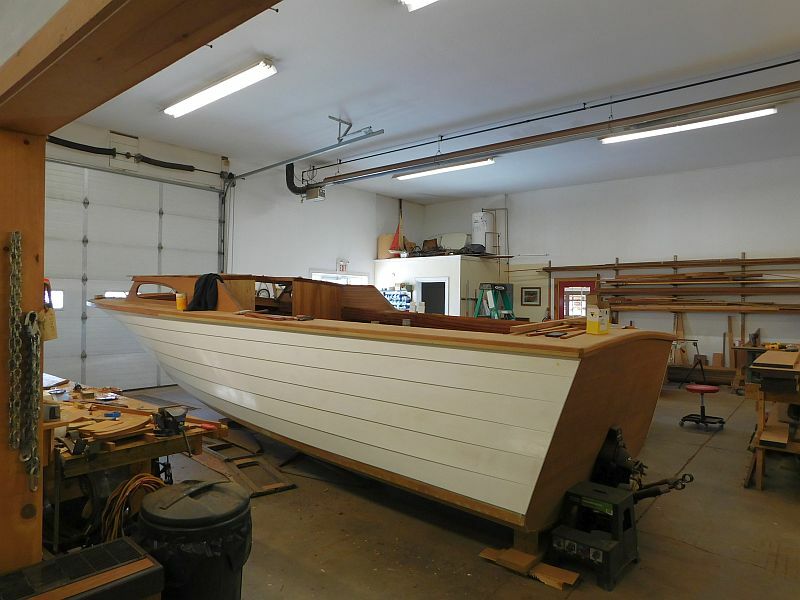 What’s new at Butson and Brackley Boats. 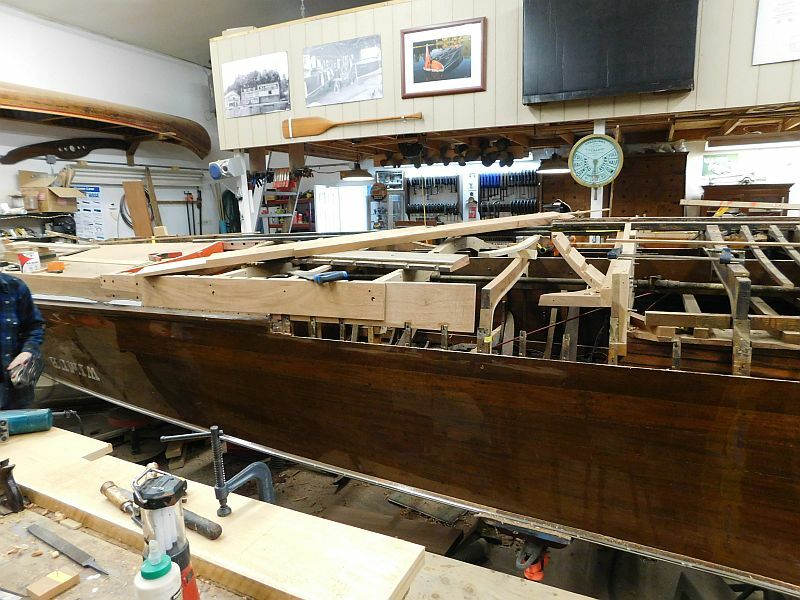 Duke Playmates are no longer just the “everyman” boat.Both the staff at Butson Boats in Bracebridge and Brackley Boats in Gravenhurst have exciting projects on the go. 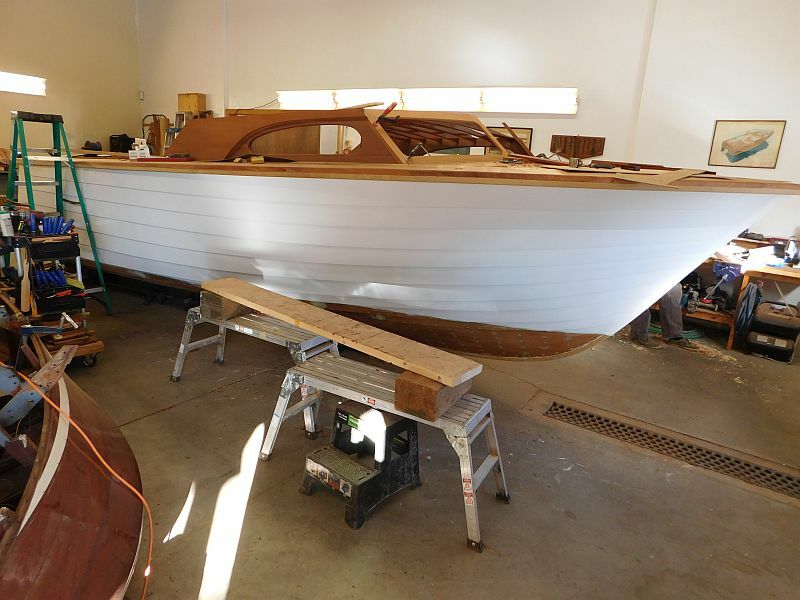 Of particular interest at Butson’s is a Grew Day cruiser, nearing completion after a top-to-bottom restoration. Meanwhile, Paul Brackley and his “cohorts” are tackling a mammoth Minett-Shields. Enjoy the photos below and stay tuned for the video!. 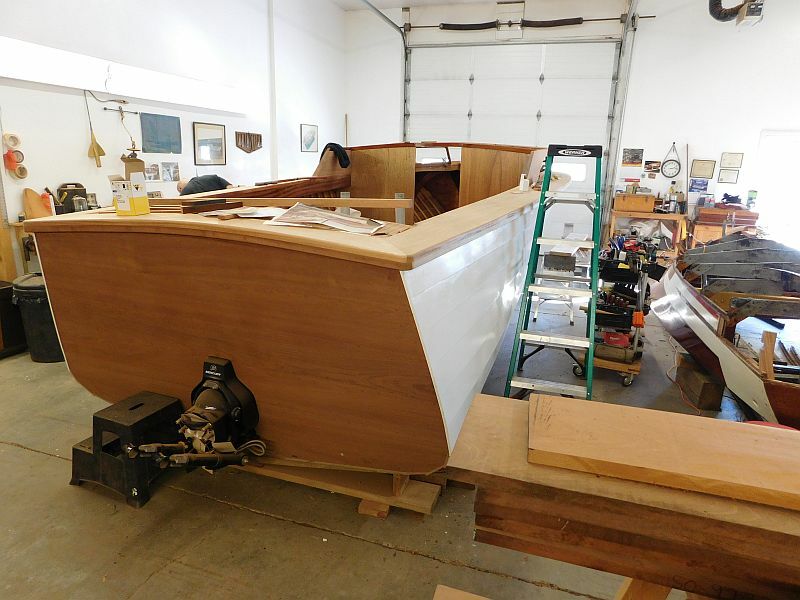 Grew Day Cruiser nearing completion. 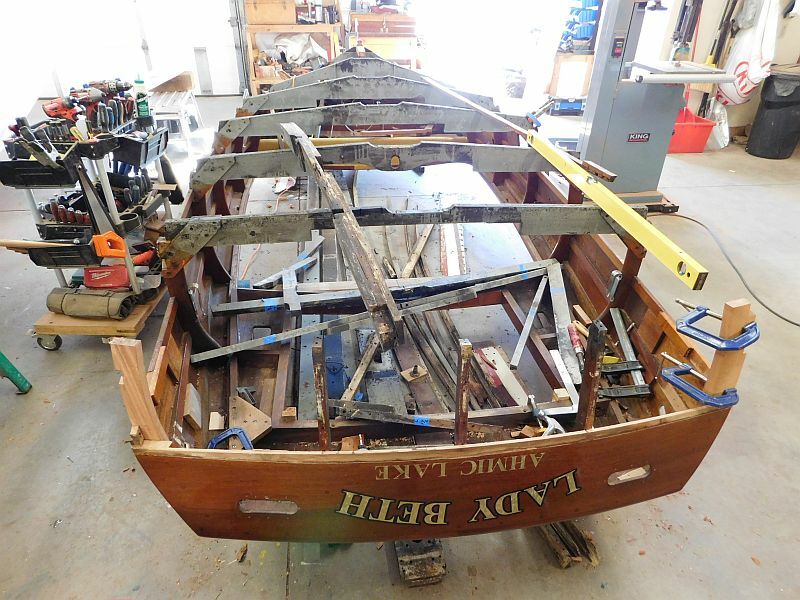 This really was a top to bottom restoration. The beautfiul sleek lines on this Grew really add to its character. 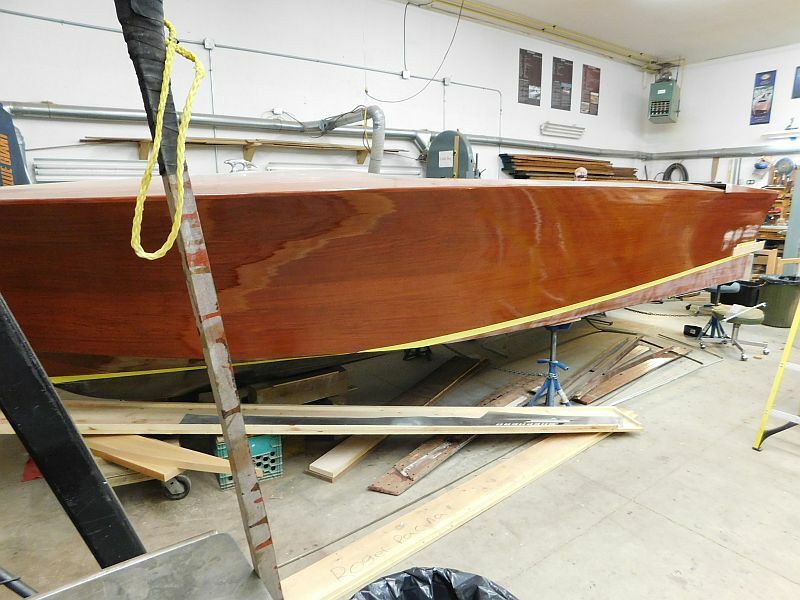 A fresh coat of varnish on a cureved deck works wonders. The “lowly” Duke Paymate is becoming far less lowly as time passes. 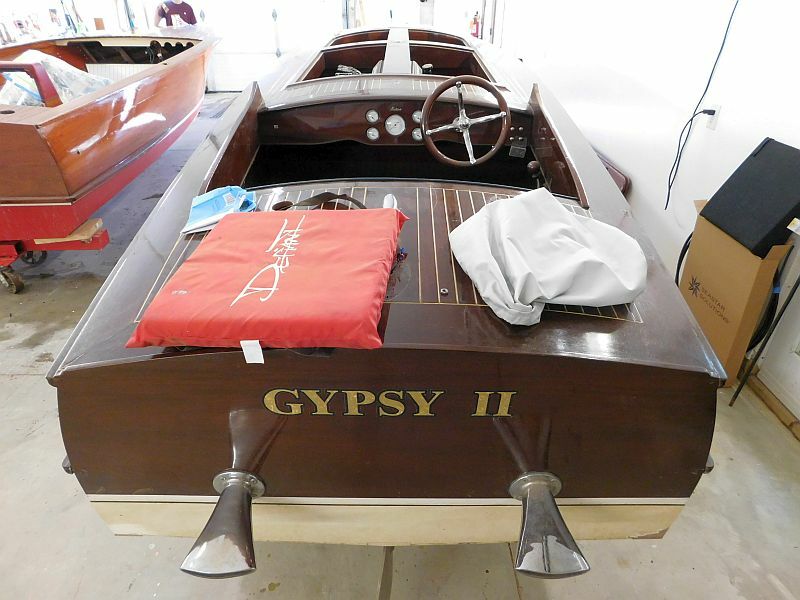 Gypsy II is an orginal Butson Gentleman’s racer back for a refresh. 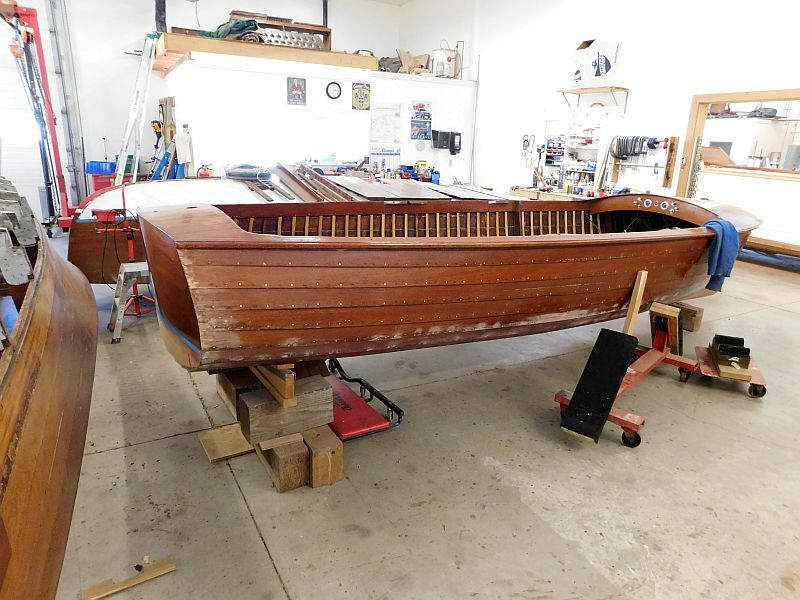 This runabout should be shortly ready to go! 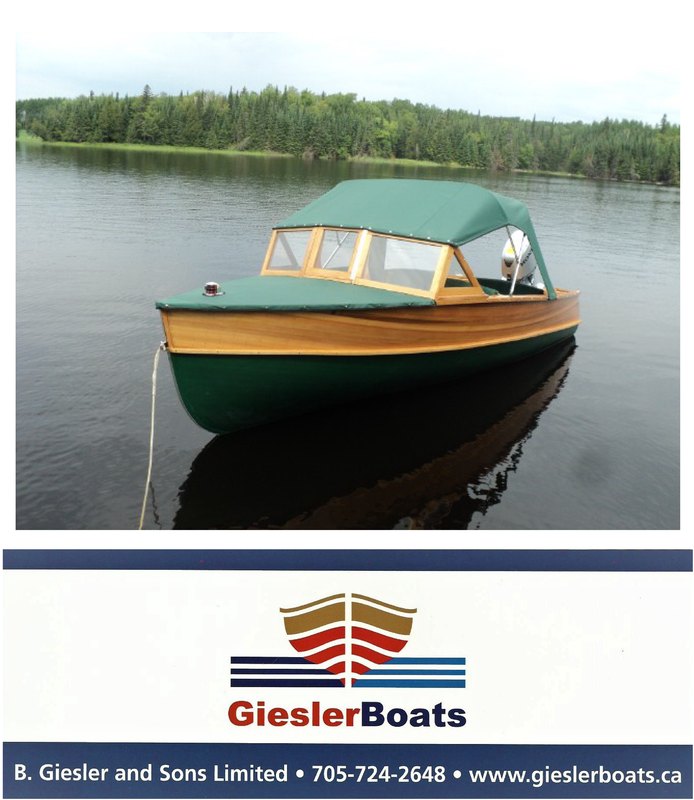 This beamy Shepherd will enjoy some fresh varnish, new upholstery, rechroming and other enhancements. 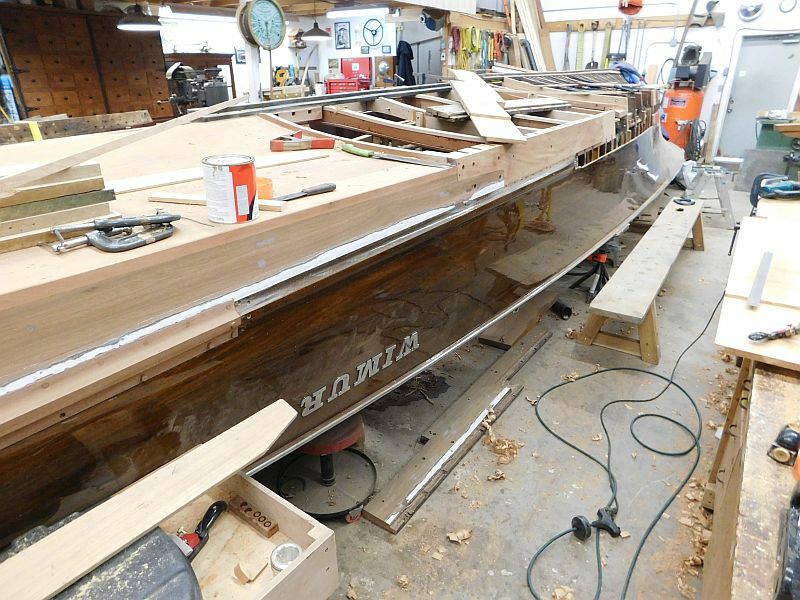 This Minett-Shields takes extra care as her hull construction is complex and intricate. 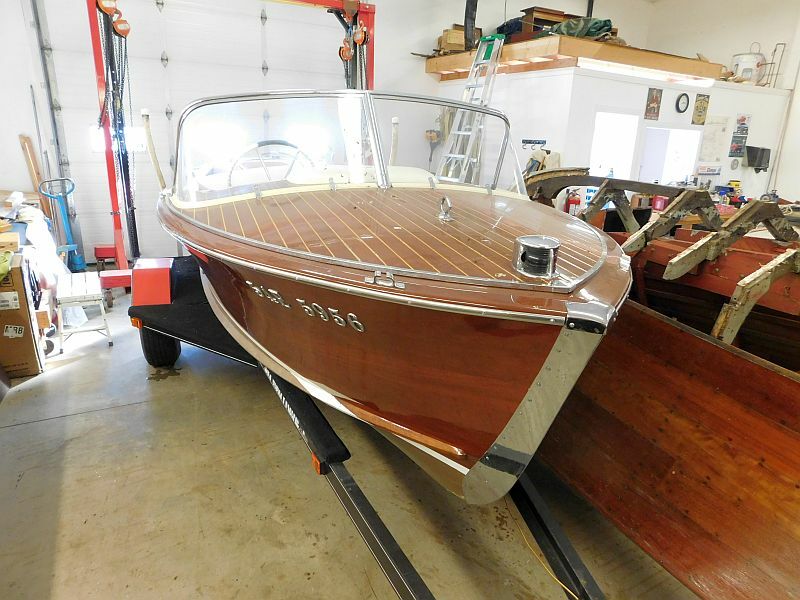 Tags: ACBS, antique boats, antique wooden boats, Brackley Boats, Butson Boats, classic boats, classic wooden boats, Grew boat restoration, Minett-Shields restoration, Port Carling Boats, Shepherd boat restoration, wooden boats, woody boater Comments Off on What’s new at Butson and Brackley Boats.